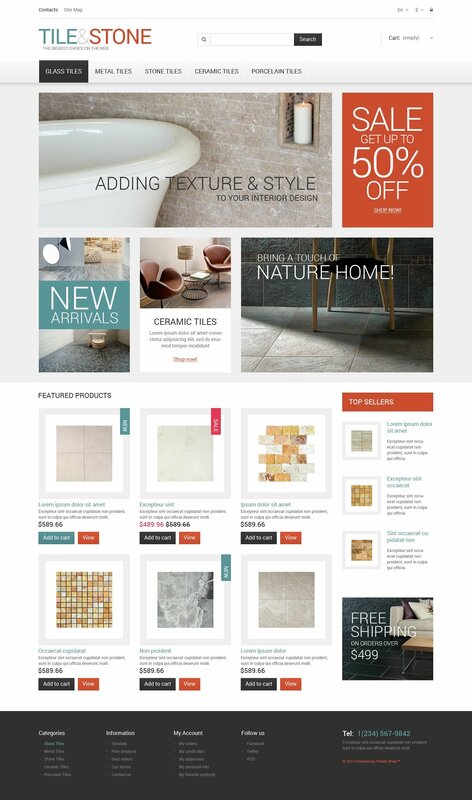 If you sell tiles and stone, your web store should possess solid, trustworthy and timetested appearance. You will find all of the just mentioned features in our professionally designed template. Sharp corners, soft color hues, accurate lines, simple geometrical shapes all these features create the desired effect. Banners, placed around the slider make the navigation visual and give customers useful information about special store offers and discounts. Get this serious template and it will help you create a credible company image. Does it work with Prestashop v1.6.1.9 ?